Creationary Is Like Pictionary, But With LEGOs | OhGizmo! By Chris Scott Barr on 02/17/11 • Leave a comment! We all love the game Pictionary Junior, you know, the one with the play-doh that everyone has to mold? Problem being, not everyone knows how to mold things very well, so the easiest way to resolve that problem? Give the people LEGOs. 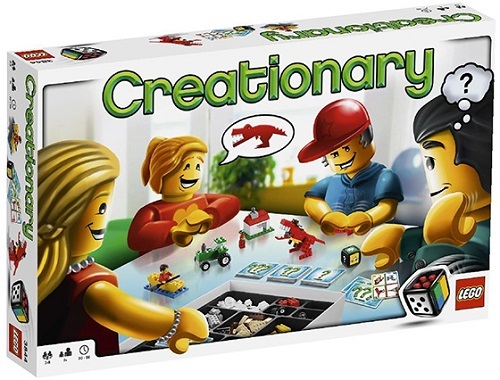 There is a game called Creationary put out by LEGO that helps you get through charades while playing with LEGOs. You can build dinosaurs, gas pumps, and everything in between. 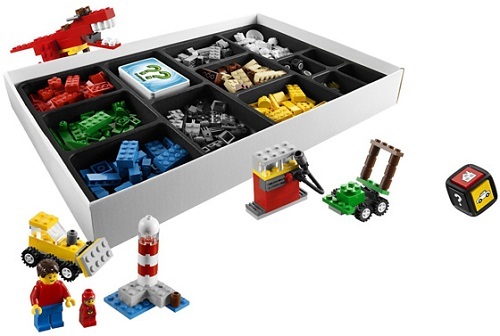 It comes with 96 cards, a buildable LEGO dice, minifigure, microfigure, and a rule booklet. The idea is to let your imagination run wild, and be able to make it tangible. There are three levels of difficulty, so that all ages can play. This is definitely going to be a great family fun night game for sure. And at only $35, it’s a pretty cheap way to entertain everyone.